Almost every country has a section of the population that they like to tell jokes about. In Ireland, it’s the people from Kerry. Not because people from Kerry are stupid. In fact they have a reputation for being the opposite. There are soaring mountain ranges, desolately beautiful valleys, crystal lakes and a spectacularly rugged coastline that is alternatively lashed and lapped by the Atlantic Ocean. Kerry has it all. The town of Killarney, with a population of 14,000, is the most popular base for exploring Killarney National Park and the Ring of Kerry. 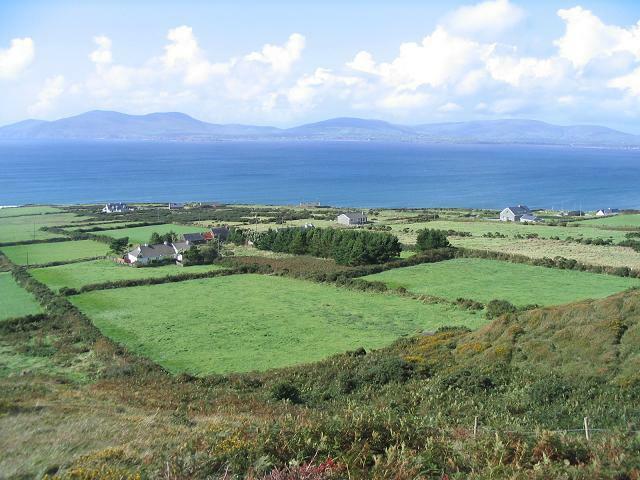 The Ring of Kerry is a scenic drive around the Iveragh Peninsula; the Dingle and Beara Peninsulas are best explored from the towns of Dingle and Kenmare respectively. Killarney has been welcoming tourists since the 18th century, and the locals have become mighty good at it. It is true there are far too many souvenir shops for some peoples’ taste. But fear not, Killarney is a very pretty and friendly town. And the Kerry people, regardless of the jokes we make of them, are some of the most welcoming in Ireland. Lough Gur, an Irish Treasure of Time Older than the Pyramids. Drive on any motorway or back road in Ireland. It won’t be long before you come upon an ancient site. You may see a Norman round tower, trees settled comfortably in a mystic fairy ring, a medieval castle tumbling in upon itself or a beautifully restored castle. Perhaps you’ll happen upon the shadowed monastery where St. Kiernan slept between mountain peaks on the shores of a soft lake. Look in the fields, especially if you’re in the west, or in the heartland, of Ireland. You’ll likely see a dolmen. Older than ancient, these huge stone tables often sit alone, skylining the horizon. Stone circles, mounds, cairns and Celtic crosses. Carvings on blinding-white quartzite and the inscriptions of an ancient language. Many ancient relics are perfectly preserved and come complete with a visitor’s center. Others are content to live amiably with grazing sheep. Every illusive or majestic remnant of Ancient Ireland gives pause. Coming upon such a site leaves you speechless, for it’s a stronger experience than words can convey. 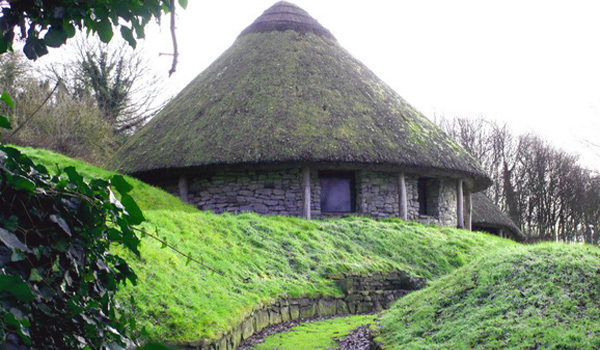 Come home to the past in Ireland. Background? The Quins were one of the few families of true Gaelic origin in the Irish peerage. Thady Quin, born in 1645, first settled in Adare. In 1720, Valentine Quin built the first Adare Manor by the River Maigue. In 1832, with Ireland ravaged by the potato famine, the family went to work, turning their home into a huge Tudor manor. Their work provided labor for all the surrounding villagers. The new house was built around the existing one, which was taken down when the present manor reached its final stage. Set on 840 acres of formal gardens and rolling grasses, Adare Manor was voted the Number One European Resort by the Conde Nast Readers Choice Awards. But the true story of Adare is its unique presence among all other places to stay in Ireland. Situated in the heart of lovely Adare Village in County Limerick, Adare Manor is steeped in history and surrounded by medieval ruins. It is the best combination of mystery, history and comfort. Meander through stonewalled gardens and winding woodland paths. Discover the colorful history of Adare Manor and the centuries of stories throbbing in her walls. There is no better place to celebrate life than in Ireland. 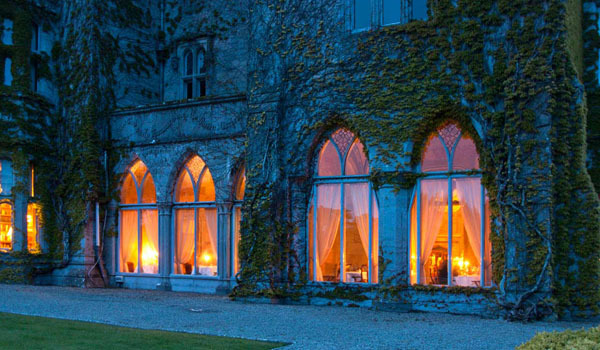 Adare Manor is one of those remarkable places that embraces you with cozy warmth. Watch the moonlight skim off the river as you wind down the halls. Voices? Oh, yes, you may hear them–all of them friendly.